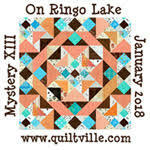 The second clue was sent out for the Mayflower Quilter's Guild Mystery Quilt and it was to make 24 Rail Fence blocks to go along with the Nine Patches from clue one. There were also instructions to make triangles in order to set the blocks on point. 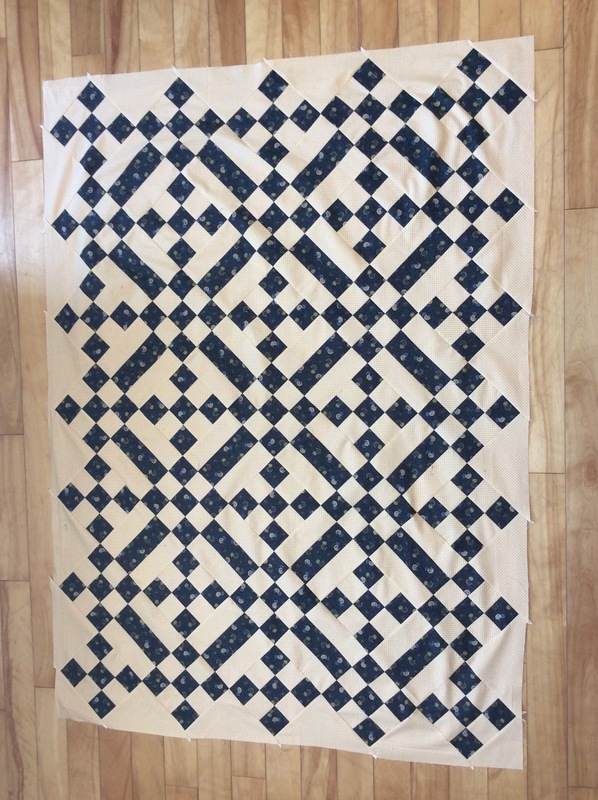 And here is the finished center of the quilt, borders are next. 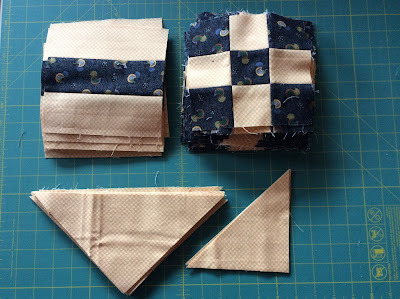 I had to piece the background fabric in order to make some of the triangles, but still have enough blue fabric for the borders.